"She has an innate sense of color and composition and when it is coupled with the way she handles the media, magic occurs." - Quote from Theresa Golas, Director of The Iredell Museums (Statesville, NC) published in American Art Collector Magazine, August 2006. Painter and Gallery Owner, Karen Hewitt Hagan, is living the quintessential life of an accomplished artist. The Florence, South Carolina native has taught plein air painting in Charleston, Italy, the Bahamas, and France. Currently she teaches privately in her Charleston Studios. She thoroughly enjoys owning the Hagan Fine Art Gallery and Studio in downtown Charleston, displaying her work alongside the paintings of artists from far-away lands such as Russia & Germany. Her own works are collected nationally as well and are in the permanent collection of fine resorts like The Sanctuary at Kiawah Island. Though she’s traveled the world, lived aboard a boat (aptly named Plein Air) for over 8 years, she says Charleston continues to be her calm, stable source of inspiration. The Sanctuary Resort at Kiawah Island, The Island House at Seabrook Island, Hatteras Yachts, Figure 8 Island Yacht Club , NC, Abaco Beach Club, City Marina of Charleston, The Village at Isle of Palms. Karen Hewitt Hagan, American Impressionist (published 2007) & The Enchantment of Charleston; Original Oil Paintings of Karen Hewitt Hagan, Book published by Morton Arts Media; *Due out 2012. 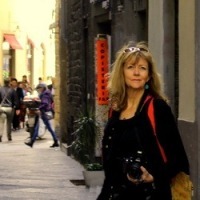 Karen has taught plein air painting classes in Charleston, Italy, France and the Bahamas. Currently she teaches privately in her Charleston Stuidos. Armory Arts Center; W. Palm Beach, FL, Independent Painting and Drawing Workshops & Classes across the US, Critique by Charleston artist, John C. Doyle.